In 2017, 52 new HIV cases were reported in the state’s northeast region, up from 32 in 2016. 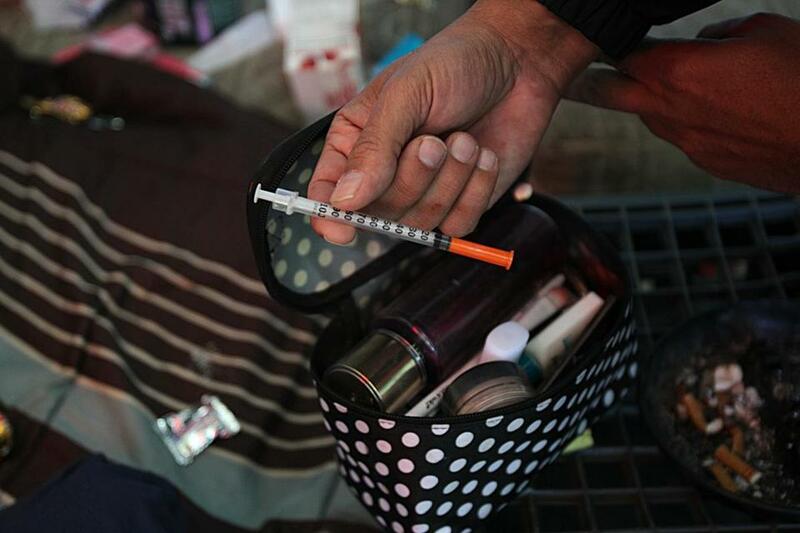 The US government will dispatch disease trackers to Massachusetts to investigate a puzzling cluster of new HIV infections in Lawrence and Lowell among people who inject drugs, a spike that could portend a resurgence of the deadly virus. The state Department of Public Health announced Thursday that the US Centers for Disease Control and Prevention agreed to the state’s request for help in detecting how 52 new HIV cases arose last year in the state’s northeast region, up from 32 in 2016. The outbreak in Lowell and Lawrence signals a growing danger from the state’s opioid crisis that goes beyond the immediate risk of overdoses, as young people apparently unschooled in safe injection practices risk infection with the virus that causes AIDS. “In this day and age, to see young people getting infected, it’s just tragic,” said Dr. Kenneth H. Mayer, medical research director at Fenway Health, who has worked in AIDS research since the earliest days of the epidemic. The virus can spread quickly once someone introduces HIV into a group of younger drug users who share needles and who might not practice the infection-control that older users do. Overall, HIV cases in Massachusetts have not increased, but the proportion of cases attributed to injecting drugs has gone up, particularly in Lawrence and Lowell. In November, state health officials sent an alert to physicians and health care facilities, urging doctors to ask patients about illicit drug use and offer HIV tests. At the time, 78 cases had been reported statewide, including a large number in Lowell and Lawrence. Nationally, Mayer said, the percentage of HIV cases attributed to drug use has risen among white people, people younger than 30, and people living outside major metropolitan areas. “This is the tip of the iceberg,’’ said Carl Sciortino, executive director of the AIDS Action Committee. There may be many more cases in that region, or even another outbreak that hasn’t yet been detected, he said. He noted that many people using drugs are not getting medical care, and not being tested for HIV. The CDC team — four or five people expected to arrive later this month and work for about three weeks — will bring expertise from having conducted similar investigations elsewhere, said Dr. Alfred DeMaria, the Department of Public Health’s infectious disease medical director and state epidemiologist. The CDC investigators also have the ability to sequence the genomes of viral samples, to identify how closely related they are; this will help find the networks of people through which they were transmitted. They will interview infected individuals about needle-sharing and sexual partners. State health officials have been worrying about the potential for an HIV resurgence since the 2015 outbreak in Scott County, Ind., where someone introduced HIV into a network of drug users and 200 were infected within months. The rate of infections with hepatitis C, another virus often transmitted by sharing needles, foreshadows what could happen with HIV. The number of hepatitis C infections among people under 30 has been increasing in Massachusetts as more people inject heroin, fentanyl, and other illicit opioids. That’s a sign that young people are sharing needles and not practicing the infection-control measures that older drug users know, DeMaria said. Once someone introduces HIV into such a group, the virus can spread quickly. That’s apparently what happened in the Lawrence-Lowell area: Several years ago, someone with HIV became part of a drug-using network. Lawrence and Lowell have long been among the cities severely affected by the opioid crisis. But many other regions of the state have also been hard hit, and they are not seeing similar increases in HIV. And people have been injecting drugs for many years without experiencing an uptick in HIV infections. The state is asking the CDC specialists to help uncover exactly how and why the outbreak happened now. The state asks for such help from the CDC about once every two or three years, DeMaria said. The CDC specialists will look to see whether drug users are doing something that speeds HIV transmission. For example, in Indiana, CDC investigators determined that the virus spread quickly because people were drawing drugs into their syringes from a container that they all shared. In Massachusetts, one hypothesis is that the prevalence of fentanyl, which wears off quickly, prompts users to inject more frequently, increasing the opportunities to get infected. “By identifying the network, we can get the appropriate prevention messages and techniques to the people most at risk,” DeMaria said. 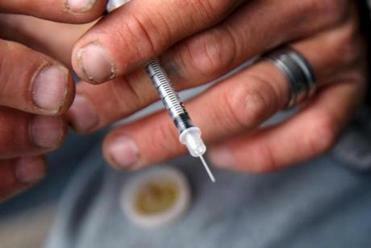 The number of needle-exchange programs, where drug users can obtain clean needles, has quadrupled in Massachusetts in the past two years. Lawrence has one such program and another opened in Lowell just this year. But Sciortino, of the AIDS Action Committee, said there are still many people who don’t live near a syringe exchange program.